This lovely boat is docked on the Seine near Gare de Lyon and Jardin des Plantes. 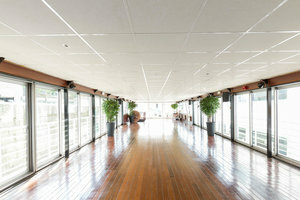 It is an ideal location to host an Evening Event, Product Launch, or Private Sale. 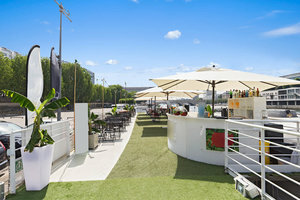 The boat is comprised of three areas including a reception area with a panoramic view and wooden parquet flooring, a multipurpose room with wood accents and a projector and finally an upper deck terrace with a bar and eating area. 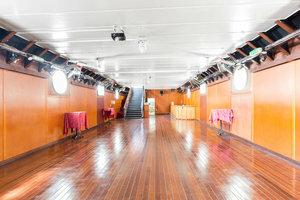 This space offers extensive amenities that can include a cruise with the captain and catering as well as furniture and sound and video equipment. 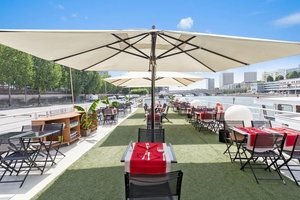 Situated along the Seine with a very unique access to Paris, this space is well-located for an unforgettable pop-up event unlike any other.